Cheap - (but are they) - cheerful ? When buying cheap mini motos, its best to go for what you can afford. Don’t go for the top end or most expensive to start with. You may find you go off the whole mini-moto experience and you have spent a lot of cash. Go for a bargain deal, eBay or your local classified ads are a great way to start. Your best spending more money on a new helmet and pads. When you buy your bike see it running or even give it a test drive if it’s practical. Take your time in selecting a bike, there’s plenty to choose from and even pre-used you’ll be surprised what you can buy for your budget. 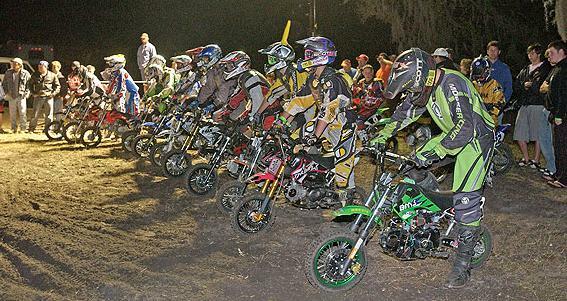 In the dirtbiking world buying cheap mini motos or more likely a mini moto pit bike dirt ride for children, and indeed for adults are now very popular. Minimoto dirt bikes are brilliant for dirt bike kids, plus these mini dirt bike pocket motos are very cheap. We took a look around the internet to see what was available, and what kind of value you can get on cheap kids dirt bikes and mini bikes n' dirt models. We failed to see many kids electric dirt bike models for sale, and you might be better checking out the familiar toy stores, but there was a huge range of new & used kid dirt bike bikes out there for rock bottom money. Our first website was dirtbiketrader.com, great for kids dirt bikes wanted adverts and kid dirt bikes. Using the search facility at the top, you can find a number of smaller pit bikes. We came across a nice 1994 Suzuki RM 80. At a price of $800, it had new dunlop front and rear tires, pro circuit pipe with fmf silencer, many new parts including a cdi unit, & starts first kick. But there was issues with location, as the seller would only sell to people very locally! So do be aware of that when using this website. However while we were there we also took a look at an ad for a 1986 Z 50 R Honda Mini Bike a nice dirt bike honda kids ride all for $550. Not all ads had pictures which was something of a drawback, but the buys were great if you dont mind older bikes. Forgetting the small ads for a while, what about new cheap kid dirt bikes? well uk-mini-motos.co.uk, had a vast number of options on their website. One model was the New 2008 49cc Mini Dirt Bike. Model No. HC-113 (Style: Black ), for a price of £114.95. That’s great for a new ride for the dirt bike kid in your family. It has a 49cc, single cylinder, 2-stroke, air-cooled engine, chain driven and manual start too. Front and rear disc brakes, tubless tyres and an overall size of 108 x 25 x 76cm - plus it travels at 40mph! Thats a cool cheap mini motos ride. Then we come to the all favourite "ebay", yes you can buy anything from a kids yamaha dirt bike to a pit bike / dirt electric kid moto. Plus items like kids dirt bike apparel & clothing - gloves, boots and helmets etc. Although cost is paramount in many choices, do be sure when buying bike dirt gear & kid helmets, the fit will be right? With the multitude of kids dirt bike gear out there on ebay you'll be browsing for hours for perfect cheap mini motos. 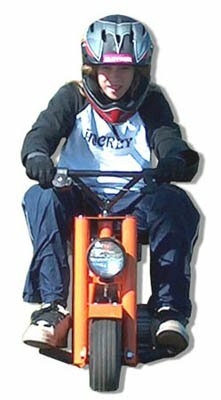 However we'll cover the cheap mini motos rides - you really have to drill down what you want on ebay, but we uncovered 2 mini motos,1 off road,1 racer style, spares or repair. for £30! also a BRAND NEW 50CC MINI DIRT BIKE in black for £100, from a trade dealer. That’s excellent value, and all because it was an unwanted present. So never forget ebay as a source of cheap dirtbikes. The final place we browsed was bike-exchange.co.uk. And found a nice looking ride called a UQD 125 cc, for £375. Coming with upside down fork suspension and quality build, it does need minor assembly - so you will need to get the tools out. A 125cc 4 stroke air cooled engine, and a 4 geared manual Transmission. A Kick Power source– 12v, 9A Seat height– 770mm Ignition mode– CDI Dry weight– 64kg Max speed- > 70km/hHP-8. So a quality bike, and we were impressed with the quality for the price offered. Buying a mini motor bike for sale, should give you plenty of choice. 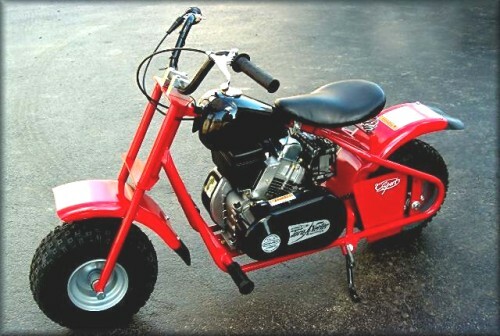 There are mini bike on ebay ads, where lots of used mini dirt bike items are listed. Cheap dirt mini moto units are plentiful, but read the ads carefully and ask lots of questions with the seller on your cheap mini motos.